Perhaps you’re leaving suburbia since your kids have left the nest. You’re entering a new phase in life moving into a downtown eclectic suburban neighborhood loft. Exposed brick, high ceilings and fun art galleries and eateries outside your doorstep. The last thing you want is the boring beige tile shower you had for the last 30 years in your suburban home. 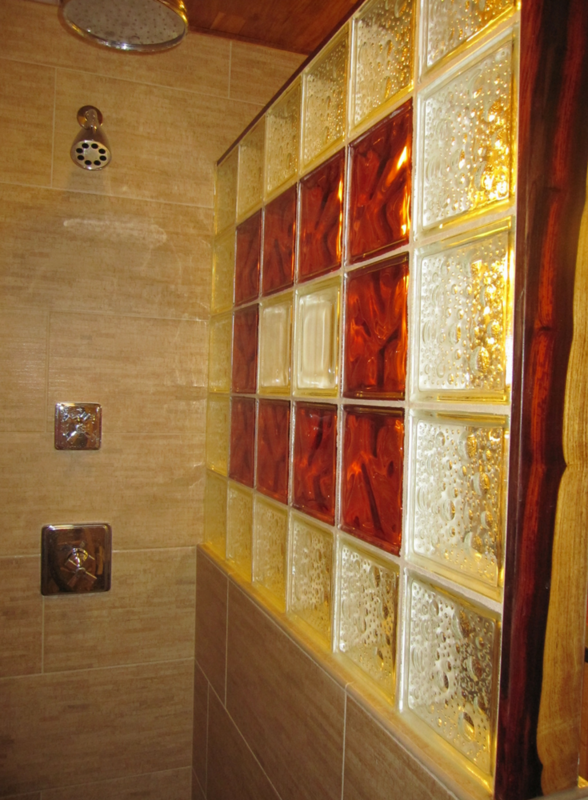 Here’s a fun idea – high gloss shower wall panels. High gloss panels are life lived out loud. 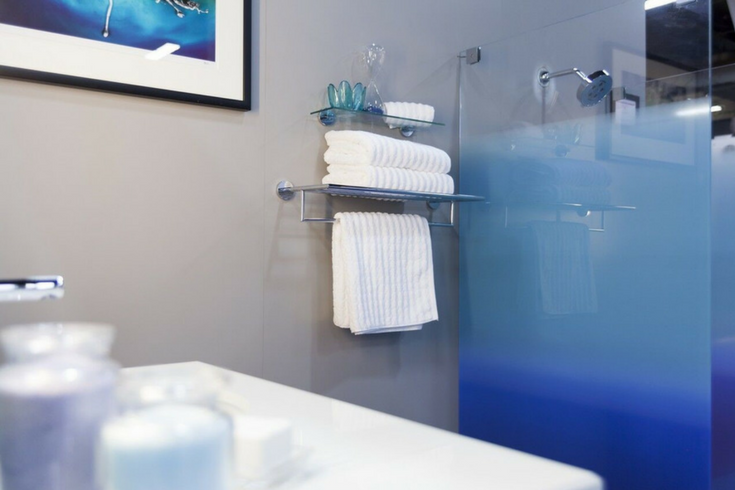 Colors like powder blue atoll, red rouge (which is not only for lipstick) or titan (a fun silvery gray color) create an impact – even in a tiny shower. The other cool benefit – throw away your tile shower grout scrub brush and never look back again! When you think of a grab bar what’s the first word(s) which come to mind? For me it’s hospital and grandma. While most of us love grandma – we’re not exactly looking for either a shower (or perfume) which resembles her! This is where fun grab bars come in. If your mobility and stability isn’t what you’d like, there’s no reason you can’t have a fun look (as amazing at that sounds) with a grab bar. This is just one selection from the line of a company called Great Grabz which proves colorful inspirational style can occur in unexpected places like the shower. Why is every glass enclosure in the world seem boring and colorless? Yes, I know, they are cheaper, but they don’t add much style to a room. 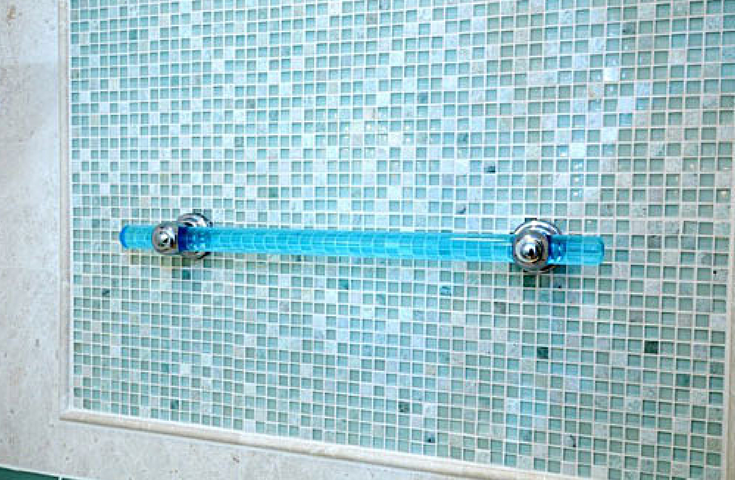 This light blue colored glass creates a soothing feel inside your spa shower. 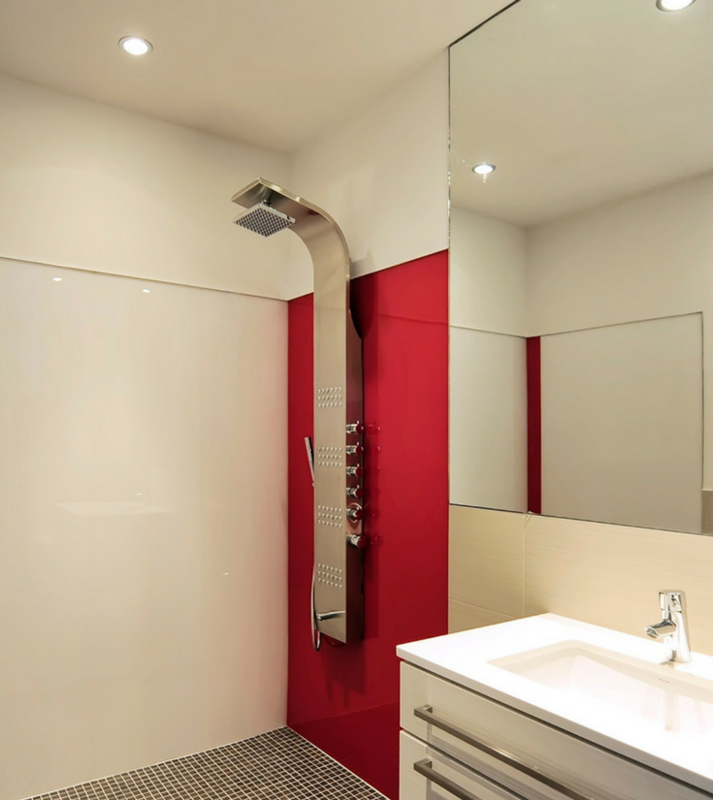 Whether you want a walk-in shower, or a fully enclosed unit with a sliding or pivoting door – your shower will be unique with colored glass panels. Isn’t it peaceful in a chapel or historic church? You can reflect on the beauty of life as you experience the soft colors through a stained-glass window. Sliding stained glass window – This is so cool. The window slides on hinges (like a barn door) and gives you privacy. 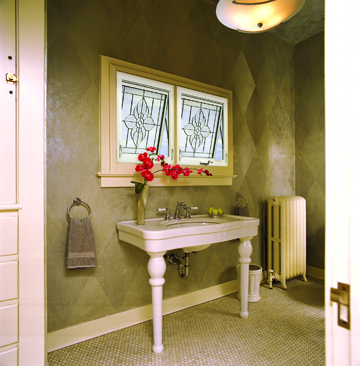 Random patterned colored glass block window – This choice can complement the fun geometric tile patterns popular in bath remodeling today. With 51 glass block colors and multiple styles your design will be one of a kind. I’m sure my Dad never thought a shower head would do more than shoot out water. 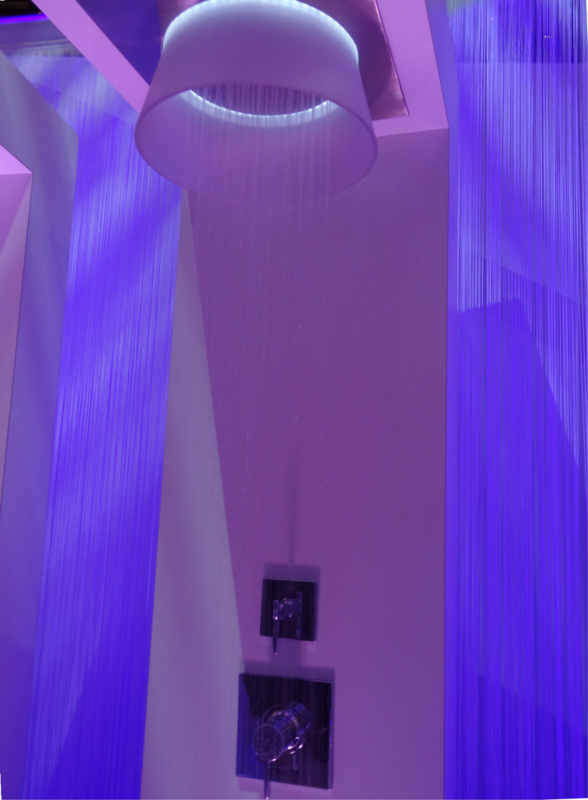 Today, shower heads can play music and be equipped with LED lighting. What an inventive way to set a romantic or relaxing mood. If you don’t want lighting in your shower head, overhead fixtures can set push this mood into the bathroom through the glass shower walls. In the case of a one level wet room system you’ll also like knowing your bathroom floor is waterproof also. I remember as a kid loving to build with Lego blocks. Many adults (and kids alike) are reliving these times in California’s Legoland every day. There is no reason to limit your colorful “Legos” to the kids play areas anymore. 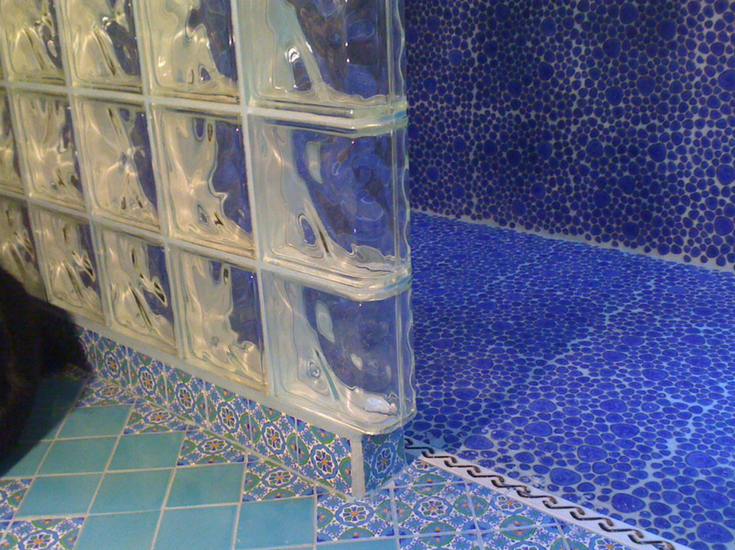 Glass blocks now come in fun vibrant (and muted) colors to add style and drama to your bathroom. 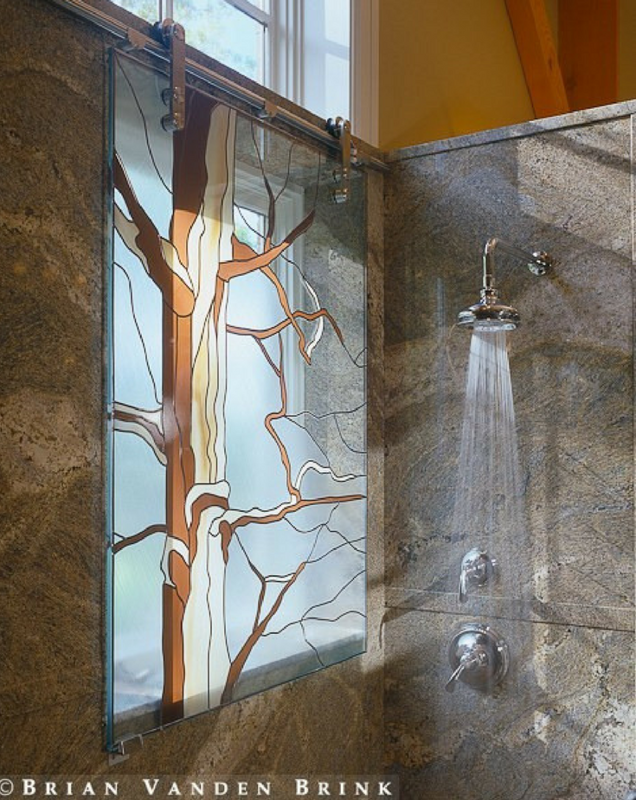 Create graceful curved glass block shower walls, step down designs or mix up the sizes for a random look (no single sheet of glass can be designed this way). 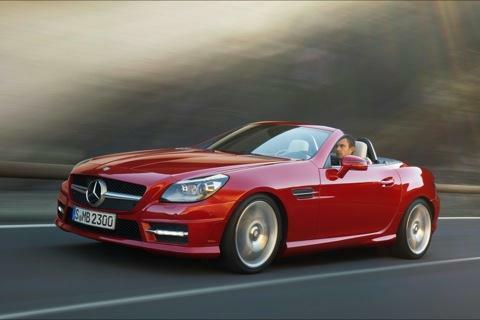 While I still don’t have my 2-seater Mercedes, I have not given up the dream (maybe, just maybe, I’ll get this car (A.K. – after kids) when Rose and I start living the empty nester lifestyle. 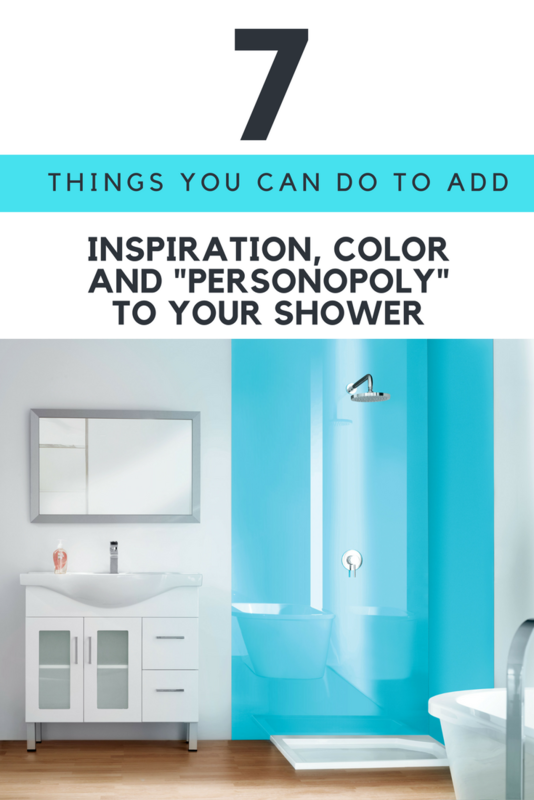 Do you dream about a shower which embraces your uniqueness and colors you like? What are you waiting for? Get busy designing this shower today and start living your life out loud! 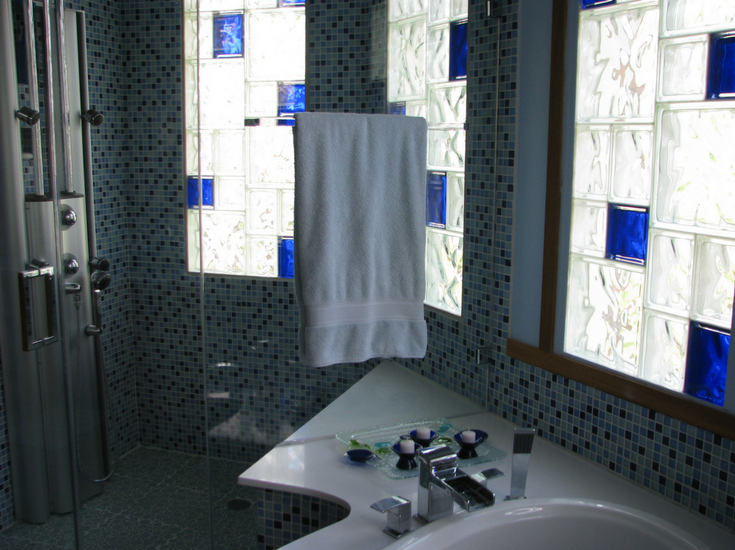 For assistance with colored high gloss acrylic wall panels, color glass block shower windows or walls or a waterproof one level bathroom system, contact Innovate Building Solutions at 877-668-5888. For a shower remodeling project in Northeast Ohio call Cleveland Design and Remodeling at 216-658-1270 or The Bath Doctor in Columbus at 614-252-3242. Great ideas! We’re big fans of doing something more decorative with grab bars – safety doesn’t have to mean boring! These designs are awesome!! We are looking to remodel our bathrooms. Would like to get estimate please.